When living at home, you are unlikely to have that much use for a bank account. You may have a wage from a weekend job but, while at school or college, your use of your current account will probably be limited. Once you start university, however, your bank account will become much more important. The government will only pay your student loan into a valid bank account, and you will also probably need to set up direct debits or standing orders in order to make regular payments for such things as rent and electricity. And, of course, you will require cash, which will most likely be drawn from an ATM. As you can see, you will probably be using your bank account on a daily basis as a student and, as a result, it is important that you pick an account with which you are happy. Banks operate on the basis that you are unlikely to leave them at any point during your life. As a result, there is a great scramble to sign up as many students as possible, as evidenced by the large incentives some of them offer. However, you should try not to be sucked in by offers of free CDs or MP3 players; there are, in fact, more important considerations to make. There are certain key features which you will be requiring in an account. The banks have looked at many of the services needed by students and have created accounts tailored specifically to you. It is almost certainly best, therefore, to look at these first. As pessimistic as it sounds, the most important feature of your account is likely to be your overdraft facility. An overdraft is not the most economically viable way of borrowing large sums of money, but it should be sufficient to solve your inevitable cash flow problems. Most student accounts now offer an interest-free overdraft, through which you will not incur charges. The limits imposed on these vary according to the bank, but they can be as high as £2750. You may require further borrowing power, in the form of a credit card. 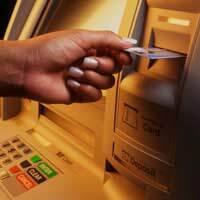 Most banks will offer you a card with your account, but you should remember that this is a very expensive way of borrowing. Always check the APR of the credit card and, if you think that you will need it, don't feel obliged to take the card offered to you with your student account. Shop around, and you are likely to find a much better deal. Any credit card will have a minimum monthly repayment, although this is often as low as £5. It is crucial that you make this payment on time, however, as your all-important credit rating will suffer if you are late. There are other factors which should also be considered. One of the most important is likely to be the means by which you can access you account. Almost every account now comes with internet banking, meaning that you can perform many of the functions previously only available over the counter anywhere you have an internet connection. Similarly, telephone banking is now the norm, although this has been very much superseded by the internet. The location of your nearest branch may also be a consideration if you anticipate that you will, for example, be paying in a lot of cheques. Many banks now have on-campus branches, but you should remember that, in the vast majority of cases, visits to a branch are seldom necessary. The key rule of any consumer finance still applies to student banking. Make sure that you shop around, and make sure that you look for any hidden clauses tying you in - for example, ensure that you are not committing to an account with any bank for, at the very most, the duration of your time at university.